The school year has started or is about to start all over the country. Gracie will be in first grade this year. 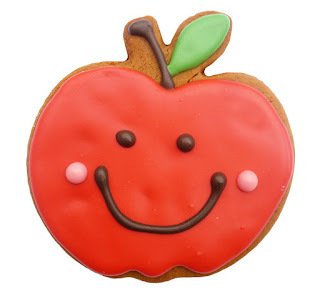 Nina and Gracie made happy apple cookies for her new teachers. And they made flowers too! Again here's the flower cutter with six petals. 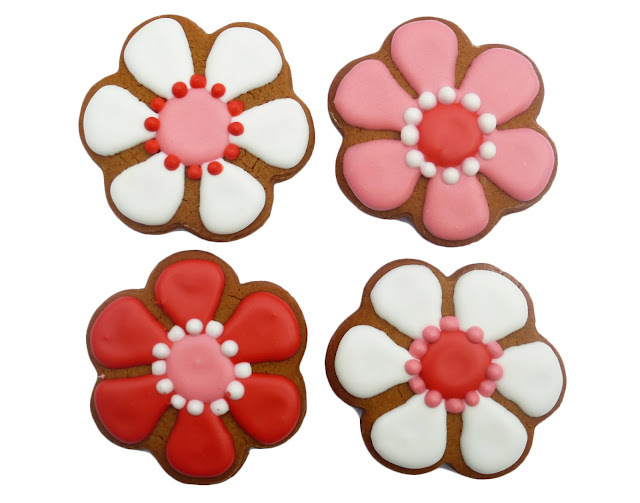 The most used flower cookie cutter in our collections! Gracie gave the flowers very very happy faces. While Nina finished up with some spirals and dots for the center. 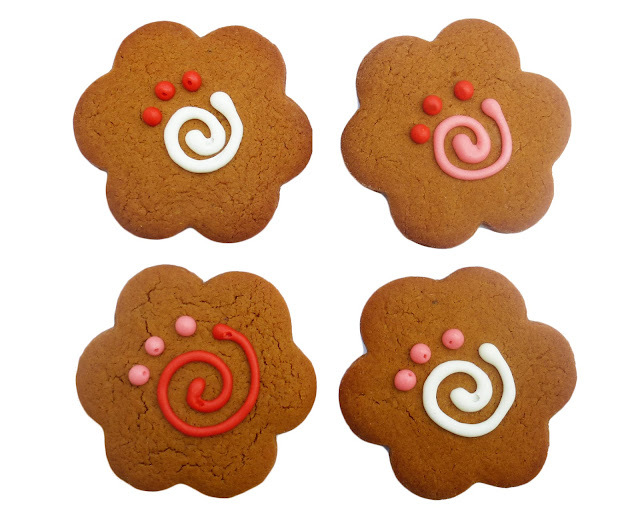 Our yummy Ginger Cookies are perfect for fall! Find our ginger cookie recipe here. For more apples see here and for more flowers see here. Gracie chose the cookie cutters and the color palette. We had fun making them and the teachers loved them!